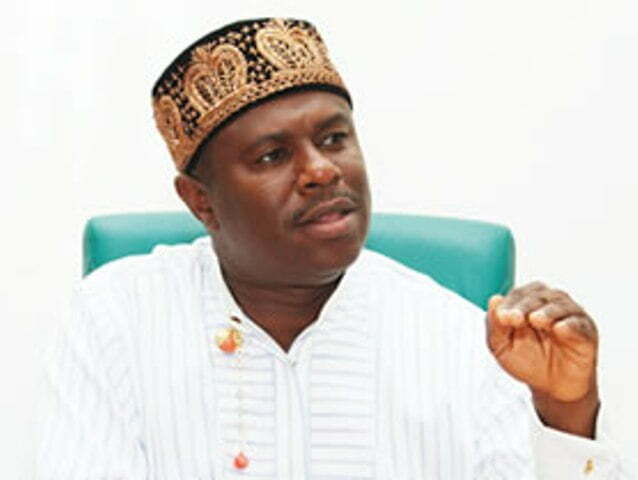 The Director General of Nigerian Maritime Administration and Safety Agency, NIMASA, Dr. Dakuku Peterside, has expressed the optimism that the governorship and other candidates of the All Progressives Congress, APC, in Rivers State will be on the ballot in the 2019 general election. DAILY POST reports that Peterside spoke to journalists on arrival at the Port Harcourt International Airport, Omagwa, Port Harcourt, Saturday. Peterside said that the challenge the APC in the state was experiencing was temporary and will soon be a thing of the past. He said, â€œI am very confident that APC governorship and other candidates will be on the 2019 election ballot. I know that the judiciary is an important component of the political process. â€œYou canâ€™t talk about politics without talking about the judiciary or the role of the judiciary. So, my confidence is that ultimately this issue will be resolved, APC candidates will be on the ballot and run the election. â€œAnd Rivers people will have options and I know that they will choose the candidates of the APC above the other political party. â€œYou know that the other political party has disappointed Rivers people on all fronts. What they have done in the past three and half years is that they have made more and more people lose confidence in the institution of government of Rivers State. â€œThey have embarked on outright lies, concocted stories and half-truths and Rivers people are indeed tired of the mess. The people cannot wait to get rid of the current government in the state and APC provides them that alternative. But unfortunately, we are going through our own challenges. â€œLet me take advantage of this opportunity to appeal to all members of the APC to remain calm, confident, loyal and keep trusting the Almighty God. That the end of this tortuous journey will come and it will be to Godâ€™s glory. All hope is not lost; indeed no hope is lost. One thing Iâ€™m pretty sure of is that at the end of the tunnel there is light and it will be to Godâ€™s own glory. â€œWe have embarked on series of engagements to get all sides of the party, to get different interests in the party to understand that it is in our collective interest to work together. â€œIt is in our interest to pursue the path of peace, unity and, of course, working for the common purpose. You cannot have a team if you are not working for a common purpose. â€œIf you have persons working at cross purposes you can never achieve results. That makes you a team and we are a team of patriotic and progressive citizens of Rivers State who want the best for our state as against our opponents in the other party who are self-serving and usually pursuing their own narrow opportunistic interests. That is where we are. â€œIt is not true that the Honourable Minister is responsible for the crisis in our party. I donâ€™t believe that this is the time for blame game. A lot of things happened and blame game will not help us in any way. Even as a leader of the party, it is wrong for me to join in the blame game,â€ Dr. Peterside declared. Whet are they saying now?